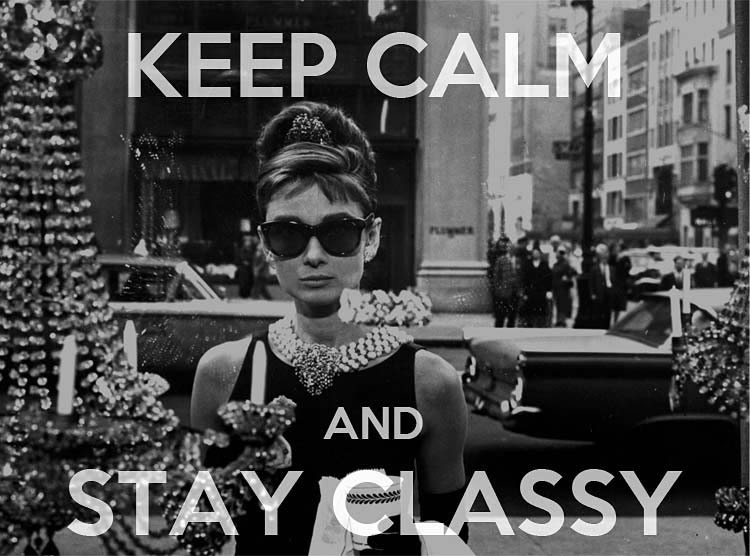 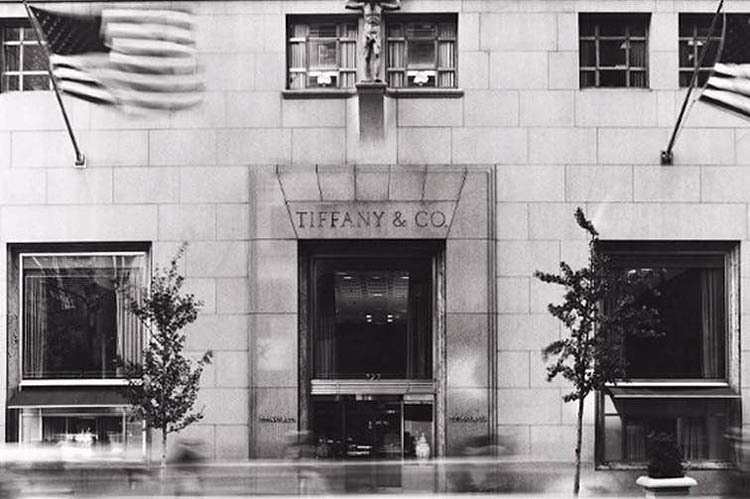 Breakfast at tiffany’s is a 1961 romantic comedy film starring Audrey Hepburn. 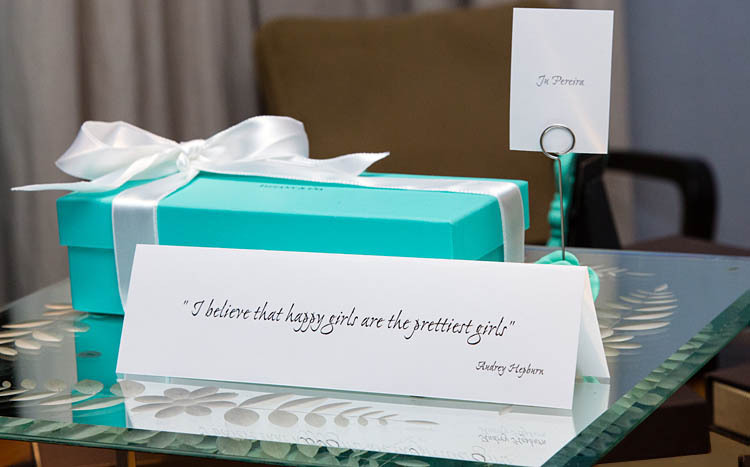 The birthday girl loves the film and the actress.Was a birthday dinner organized with attention to detail throughout. 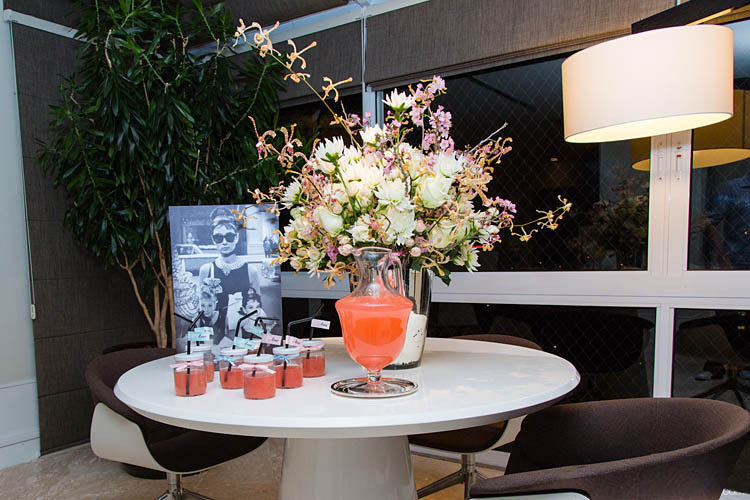 The entrance 50 guests were welcomed with a drink “pink lemonade” . 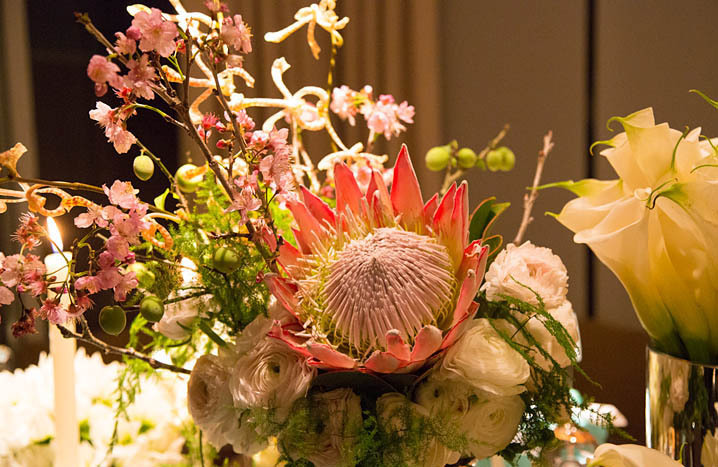 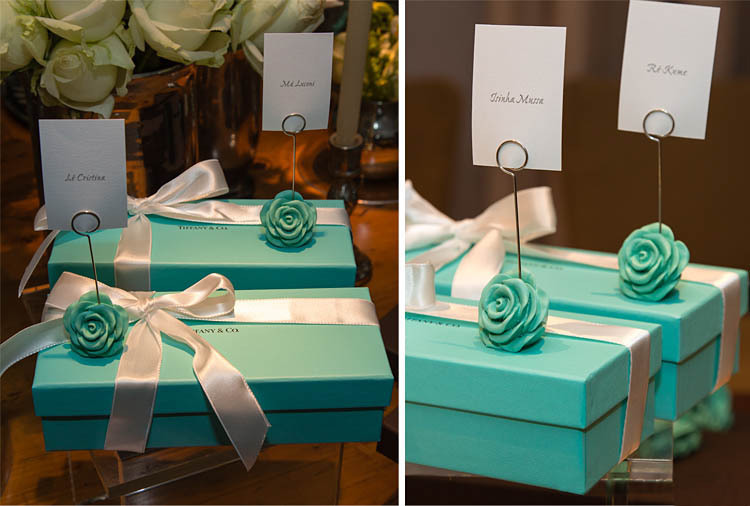 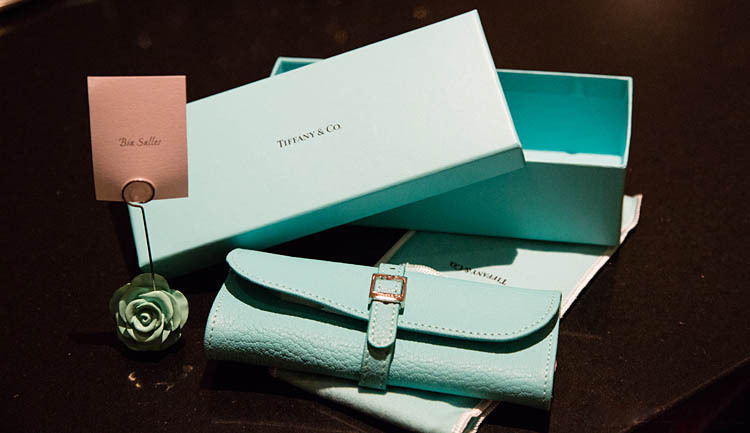 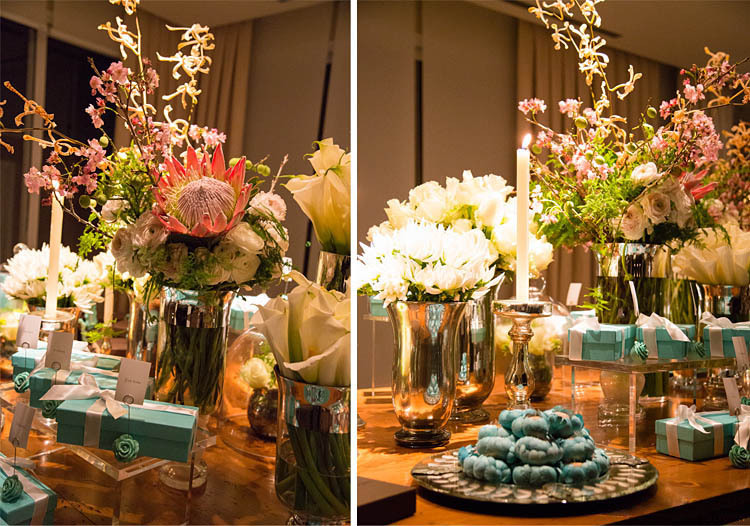 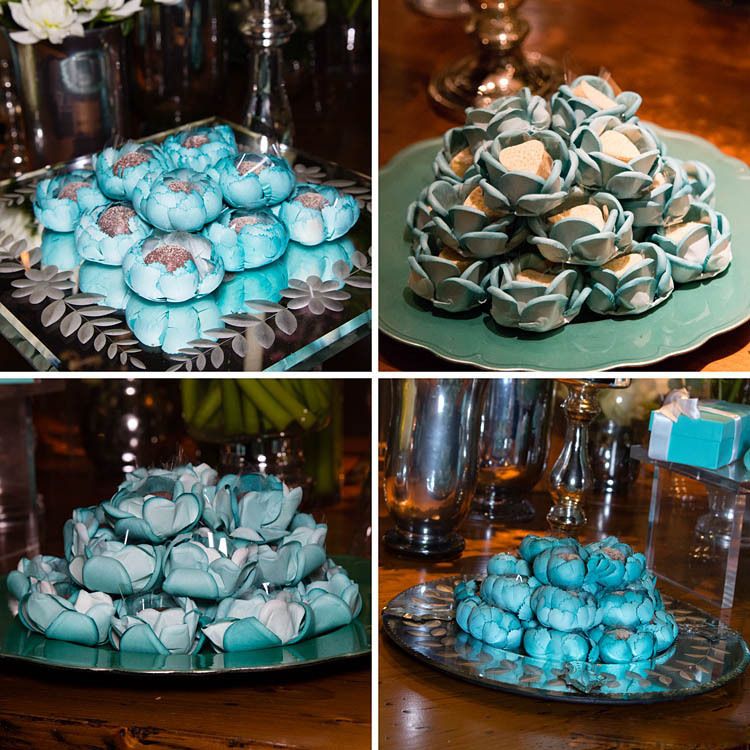 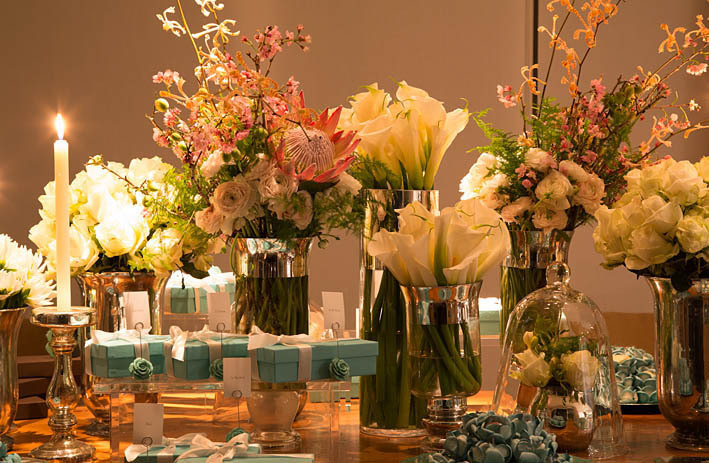 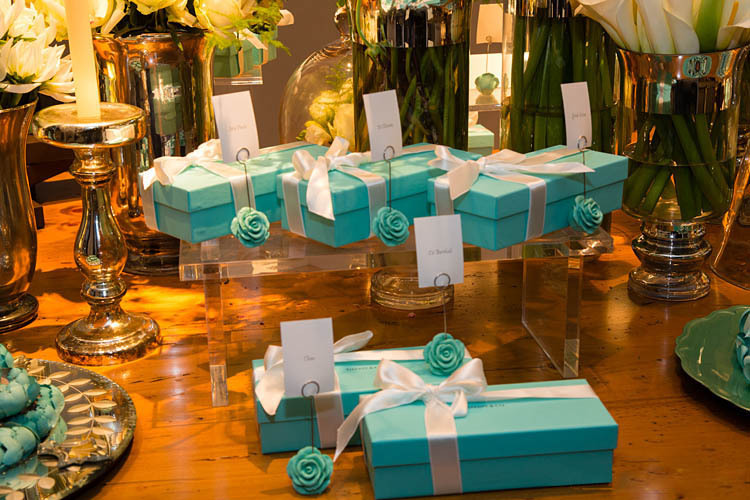 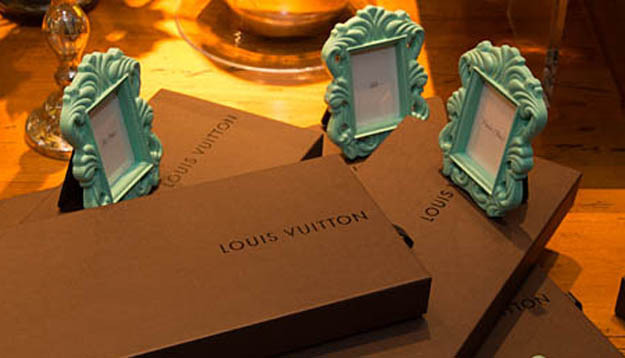 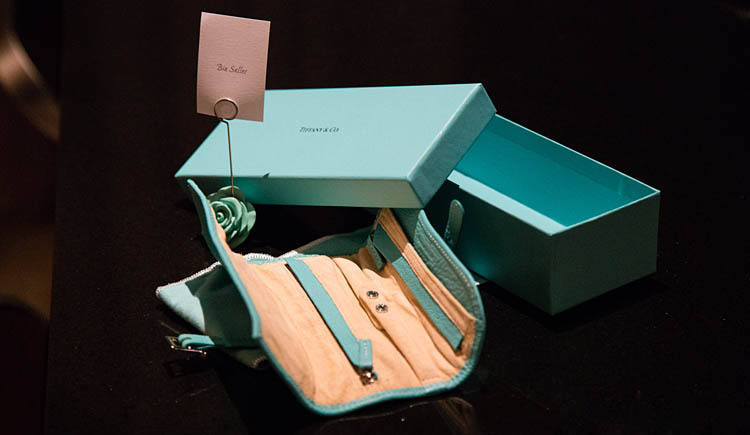 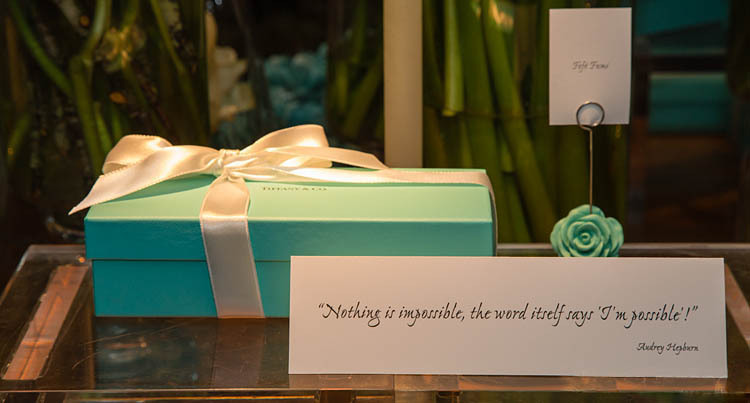 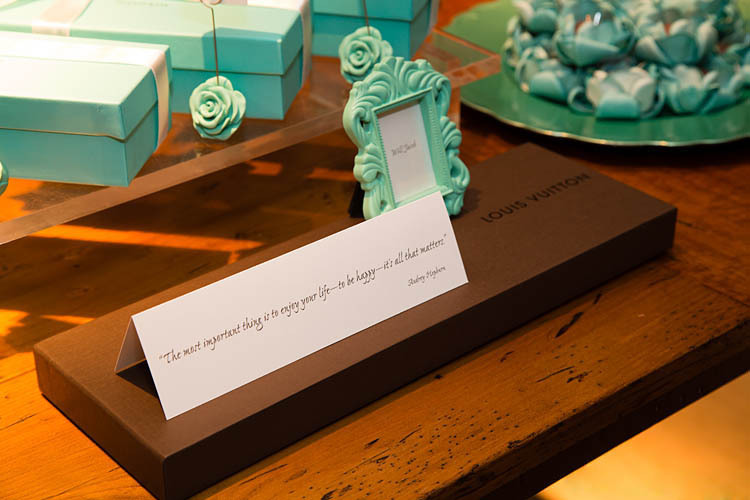 The tables were all beautiful and adorned with gifts.All the girl invited won a purse of Tiffany’s in blue boxes with the name of each guest. 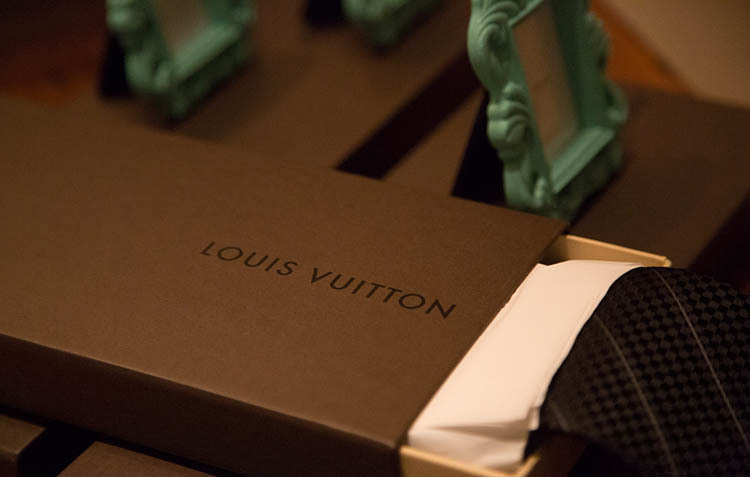 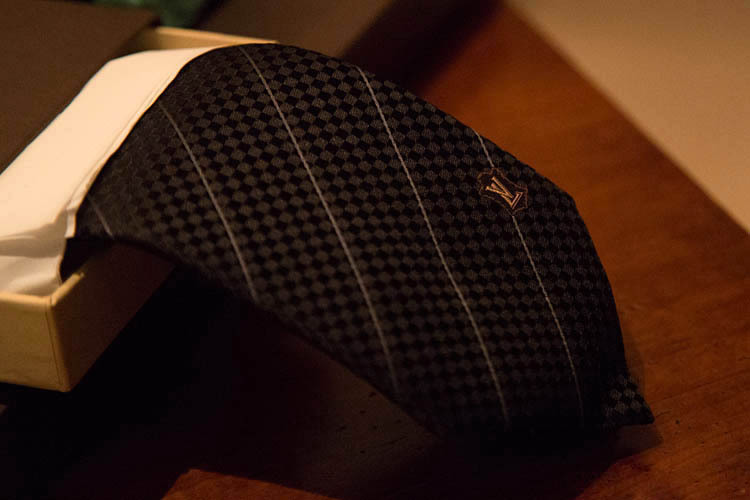 Boys won a tie of LUOIS VUITTON, to use at the party.Also could not miss the SWEET BRIGADEIRO. 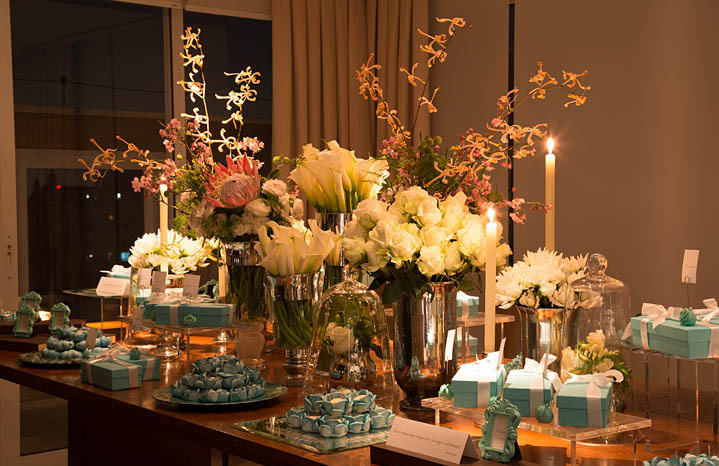 The cups in blue flower is to match the rest of decor. 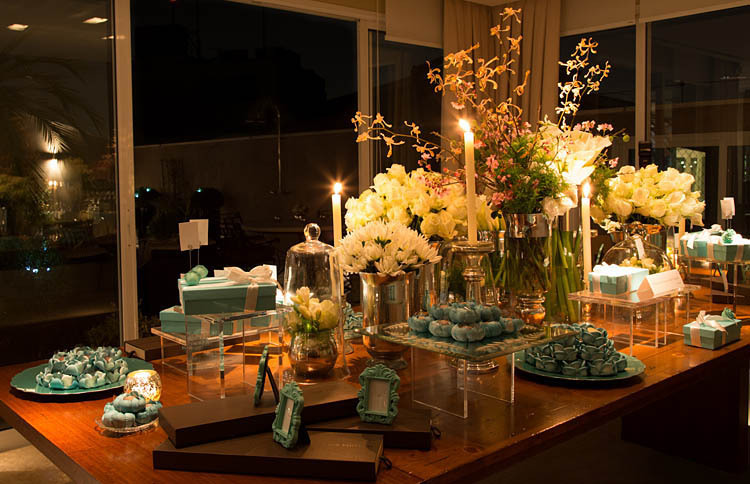 ¡Que me gustaría que me hiciesen una fiesta así!